Food has always been a really important part of a family’s budget. In Victorian times it was even more important than today. In 1888, for example, an average family might earn around 21 shillings (a guinea) per week. In today’s money that would be £1.10p. How were these 21 shillings spent? This means that nearly 20 per cent of your weekly wage went on meat, 5 per cent each on butter and tea. 100 years ago and more, most food was sold by weight. It was not pre-packaged and weighed as today. Also it was sold in specialist shops: meat in a butchers, tea, butter, sugar, eggs in a grocery/provisions store. Fish was sold by a fishmonger – chicken was usually sold in a butcher’s shop. With so much of your weekly wage going on food, it was vital that you got a fair weight for what you paid. Unfortunately, many shopkeepers tried to cheat their customers by tampering with their weighing machines – or using poor quality ones. So you might pay for a half pound of butter (8 ounces) but get say only 7 ounces. How did these cheating shopkeepers do this? They had weighing scales that were deliberately tampered with to give false weights. To try to protect customers, new laws were passed in Victorian Britain to set out strict standards of weighing food. Weighing scales had to be checked and inspected – special weights and measures inspectors would make unannounced visits to shops to check that their scales were weighing fairly and accurately. If a shopkeeper was found to have faulty scales, he could be fined or even closed down. 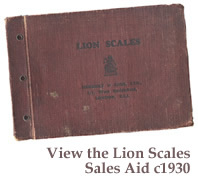 So by the middle of the 19th century, it became really important to have scales that weighed with incredible accuracy and reliability. 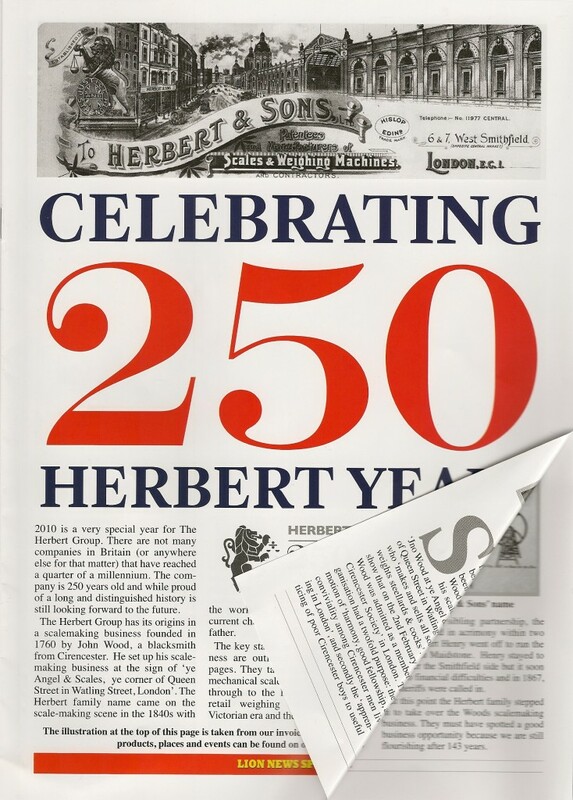 This is where Herberts did so well – their weighing machines had the best reputation for accuracy – down to a fraction of an ounce. Their scales were so highly thought of that they were used in famous shops such Harrods in London and of course, J Sainsbury (which was founded in 1869).